Les Lolos contributor and Korean skin care guru, Charlotte Cho of Soko Glam, recently added author to her already stellar CV of entrepreneur, beauty expert and all-around wonderful human. In between her book launch party in NYC and the Thanksgiving holidays, Charlotte generously shared her thoughts on beauty, kindness and dreaming big. 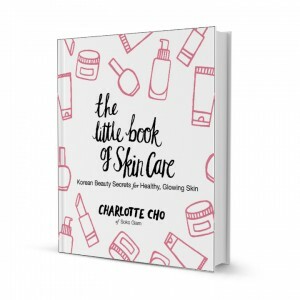 The Little Book of Skin Care is all about Korean beauty secrets. Is there a secret you can share with Les Lolos readers right now? I’ve heard that many French women use natural oils, like olive or castor, to cleanse or moisturize their skin. I’ve spoken with top R&D specialists in Korea and they don’t recommend oil products that aren’t specifically formulated for the skin. Natural oils aren’t easily rinsed off and can clog pores and cause breakouts. One of my favorite products are oil cleansers but it’s incredibly important that you use the right one. Here’s a tip: You’ll know that it’s been formulated for the skin if you add a little water to it and the oil emulsifies, i.e. turns a milky white. The emulsification process helps break down any oil-based debris and also helps it rinse off easily so your skin doesn’t feel greasy. How did you go from beauty entrepreneur to author? What was that journey like? I started my career in Seoul as a publicist for Samsung. My job was to share what they do well — electronics and engineering. My job at Soko Glam and as an author isn’t too different; instead of sharing Korean tech innovations, I’m sharing Korean beauty innovations. I’m incredibly passionate about Korean culture and want to share it with the world so I truly find fulfillment in what I do. The Little Book of Skin Care isn’t a typical beauty book. My goal was to make skin care accessible, interesting and fun by sharing relatable anecdotes from my own life. I also wanted readers to learn why Korean women go to great lengths to take care of their skin. There’s a science behind it and understanding that mindset helps people take the plunge and start a skincare routine themselves. Lastly, I give a peek into Korea’s culture because I hope to create a bit of wanderlust and get readers inspired to visit Korea! How much time, really, do you spend on your skin? Are you religiously doing your 10 steps every day? The Korean 10-step Skin Care Routine has received a lot of coverage in the past few years and if it sounds intimidating, I don’t blame you. Korean women tend to use more products than Western women, but it’s not like they do 10 steps every single morning and night. It’s about having an arsenal of products that you use depending on your skin condition and goals. Every step/product should have a purpose, whether it’s to cleanse, treat, protect or renew. If your skin is sensitive and can’t handle exfoliation or serums, then there’s no need for them. It’s about finding which products and steps are right for you. I typically use about 5-6 products every morning and night which takes no more than 10-15 minutes. If I have 20 minutes to spare, I’ll throw in a sheet mask and other treatment steps that bring me to 10 steps! You’re so young and so successful. Your parents must be proud! What advice do you have for aspiring entrepreneurs and authors? What is your abiding philosophy when it comes to life, business, relationships? I’ve been so fortunate to have these opportunities come my way. With the support of my husband and co-founder, Dave Cho, and my family and friends, I’ve been able to push myself out of my comfort zone to tackle them. I was approached by an agent last summer to write this book, but I was so overwhelmed with esthetician school and running Soko Glam, that I initially declined! It was only when a friend told me to “dream big,” that I reconsidered. I’m so glad I did. It was an intense year. I finished the manuscript within two months and, thanks to my editor at HarperCollins, we went to publication that same year! A piece of advice that I’d like to share, not only with aspiring entrepreneurs because this is applicable to anyone: Be kind and genuine to everyone you meet. The world is small, and you never know when you’ll run into someone again. Since I started Soko Glam, so many friends and acquaintances have gone out of their way to help me — simply because they wanted to see me succeed. A strong support network is more powerful than money or any educational degree. 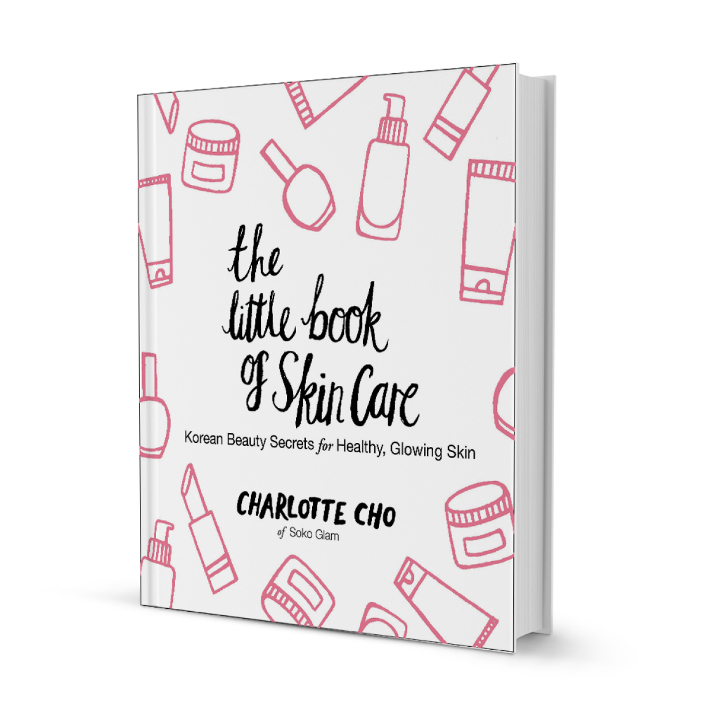 To celebrate the release of The Little Book of Skin Care, we are giving away a copy of the book to one Les Lolos reader — who’ll be getting a lifetime of gorgeous skin advice! To enter, all you have to do is sign up for the newsletter. If you’re a longtime subscriber — thank you! Just tell us in the comments that you’re “already subscribed” to enter the giveaway. This contest has ended! Our winner is Meg Everingham aka @yogababymama! She’ll be getting a copy of the book as well as few extra Korean skincare goodies from us. Congratulations, Meg! Already subscribed! : ) Love your blog! Pingback: LES LOLOS Giveaway Winners!